Visually, this was a feast fit for royalty. And I certainly felt like royalty dining here. 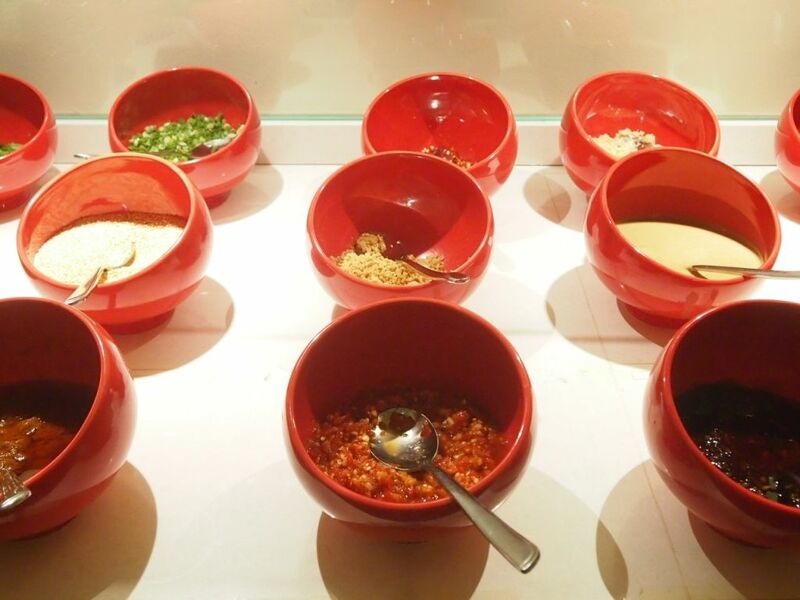 Mix your own sauces and have unlimited access to puddings and instant noodles for just $2 per pax. 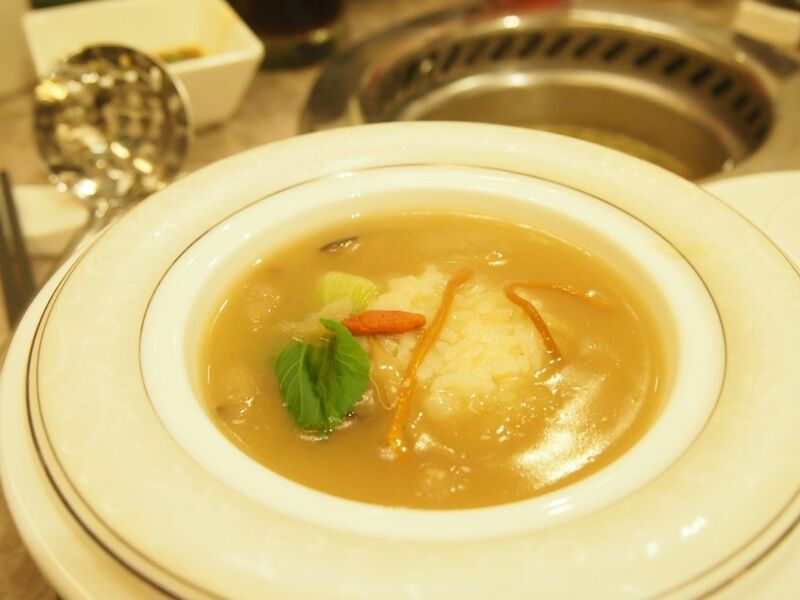 Dinner kicked off on a high note with an absolutely palatable bowl of sea cucumber, abalone and mushroom rice. It was rich in flavours, and definitely one of the highlights of the entire spread. I gobbled up my share in no time and everyone was full of praise for this wonderful creation. 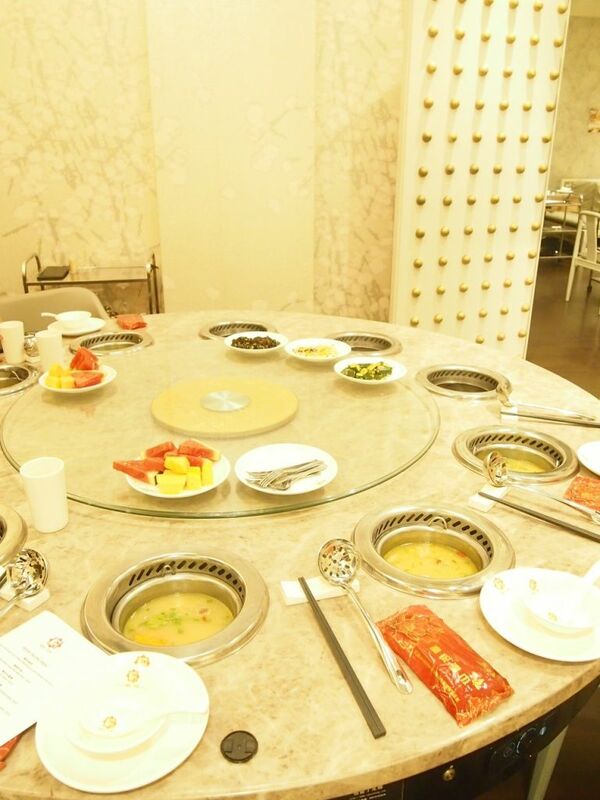 There are five different soup bases available and they are all representative of different elements in fengshui. 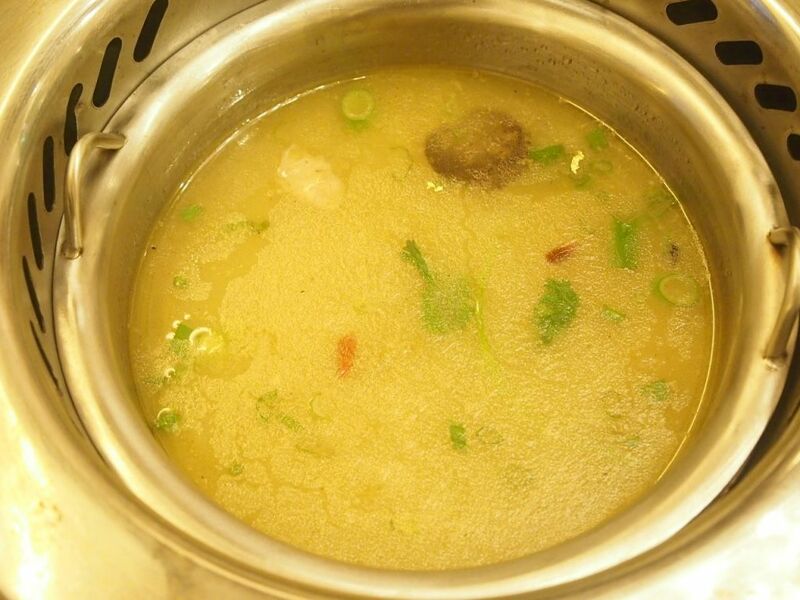 The one that we had was the Signature Golden Imperial broth. It is brewed for over 12 hours with fresh red carrot puree, chicken bone marrows, pork shin and dry-aged cured ham and presented with gold flakes on top. 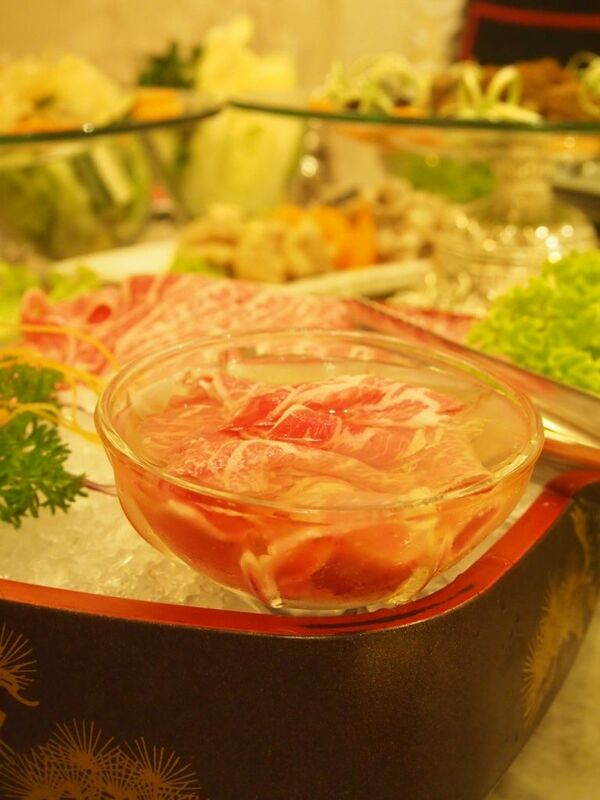 Every Dou Lao pot is full of skin-boosting collagen, vitamins, protein, minerals and antioxidants. 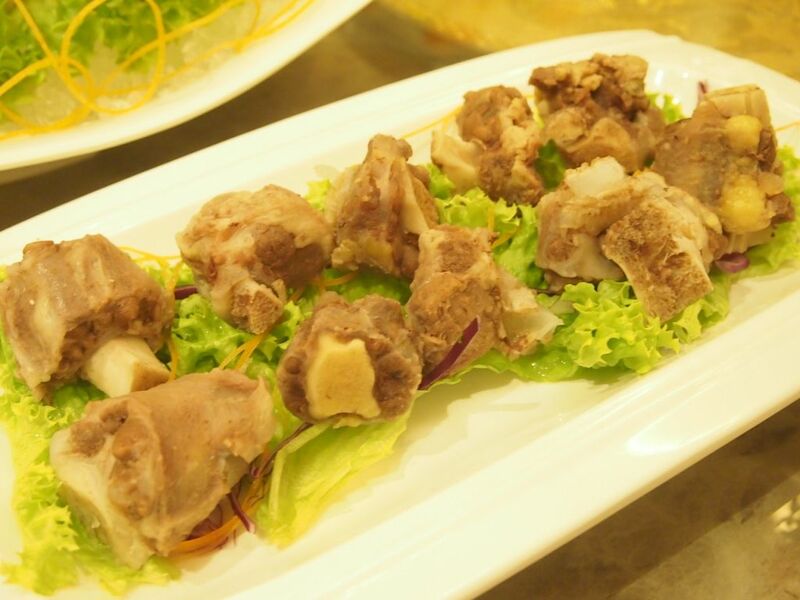 Dou Lao cuisine focuses on improving one’s health and vitality and it features rare ingredients in its broths and serves only freshly harvested meat, greens and seafood. 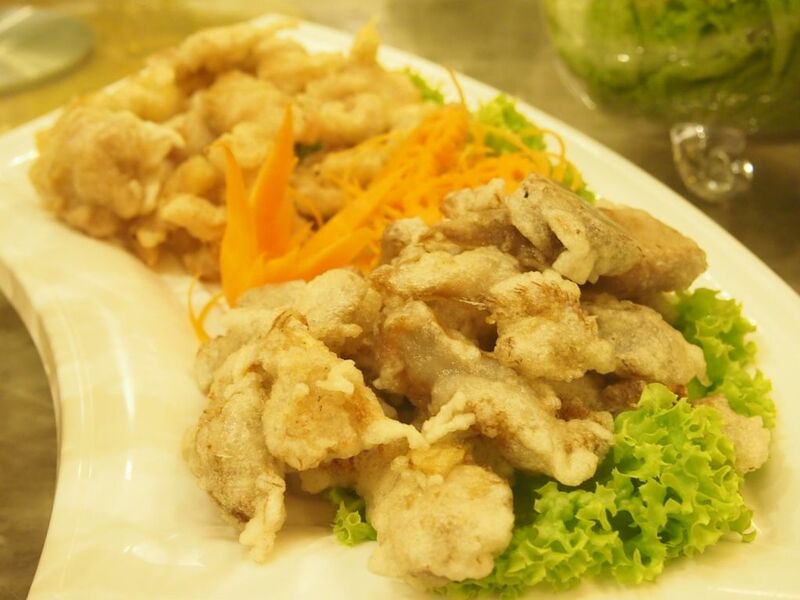 No processed food, preservatives or chemical additives are added to any part of the meal. Chef Nian added hot water to the dry ice sitting below the square plate and it was such a treat to watch! The prawns were a hit and a hot favourite! 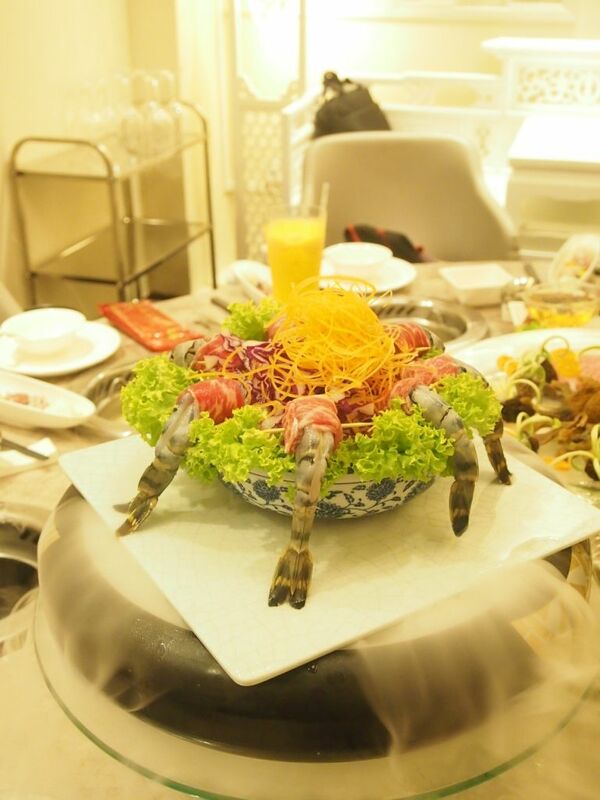 Do remember not to leave the prawns in the hot pot for too long! 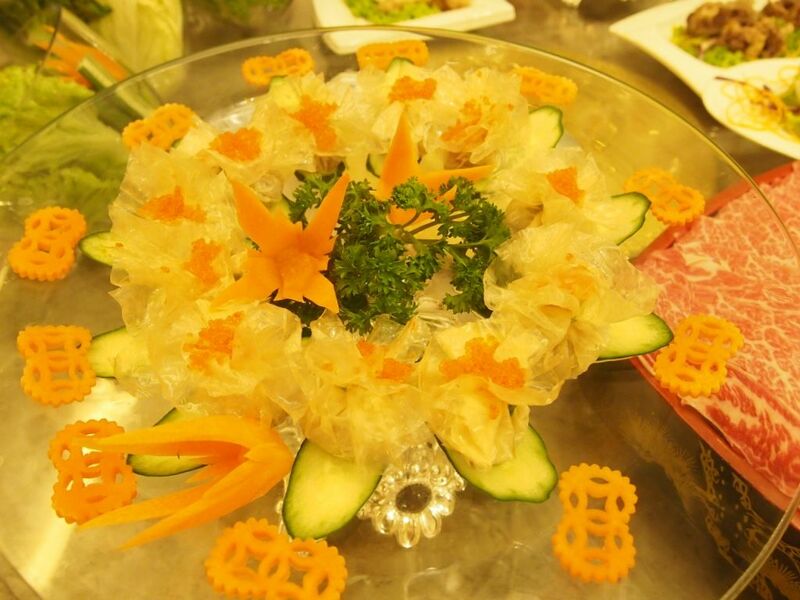 Those adorable little carrot pieces were hand-carved by Chef Nian. Eat more of these money bags for a prosperous year ahead! Absorbing all the essence and goodness of the broth, the unassuming oxtail was delish after a short stint in the hot pot. 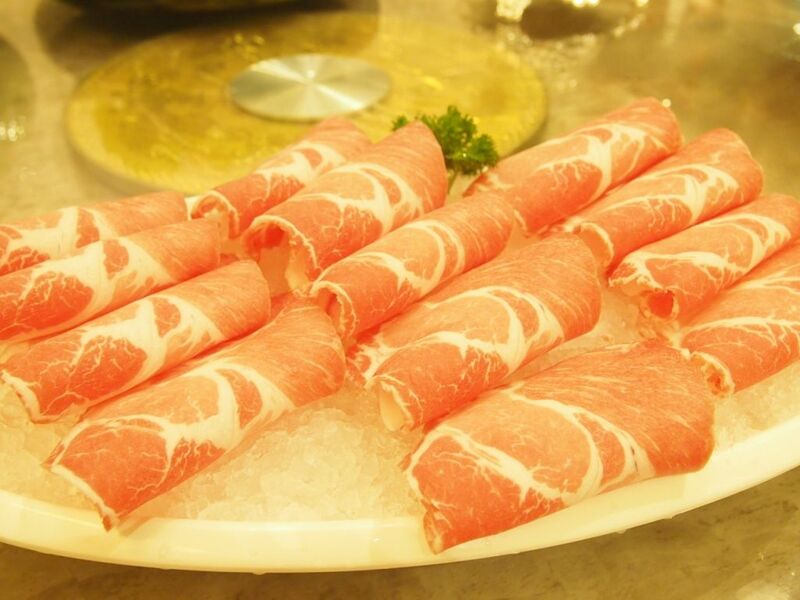 Six different meats are painstakingly chopped and beaten to ensure unparalleled springiness before they are rolled up and wrapped around different cores such as cheese and spinach. 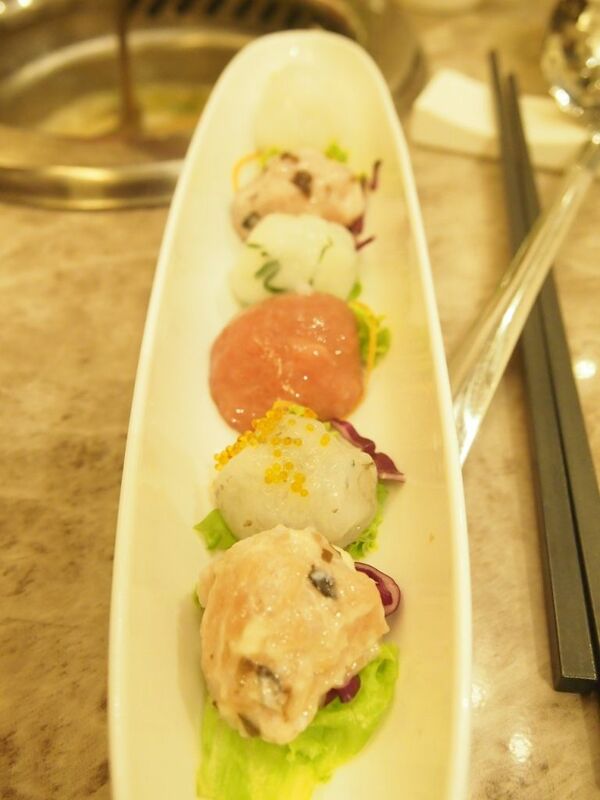 The most unique one will be the Squid Meat Ball with Chocolate which might seem really odd but is actually really yummy! I really enjoyed the firm and springy meat balls ! Just look at that marbling. Let the thin slices of US prime beef rest in the bowl of beer for about three minutes and you're good to go. 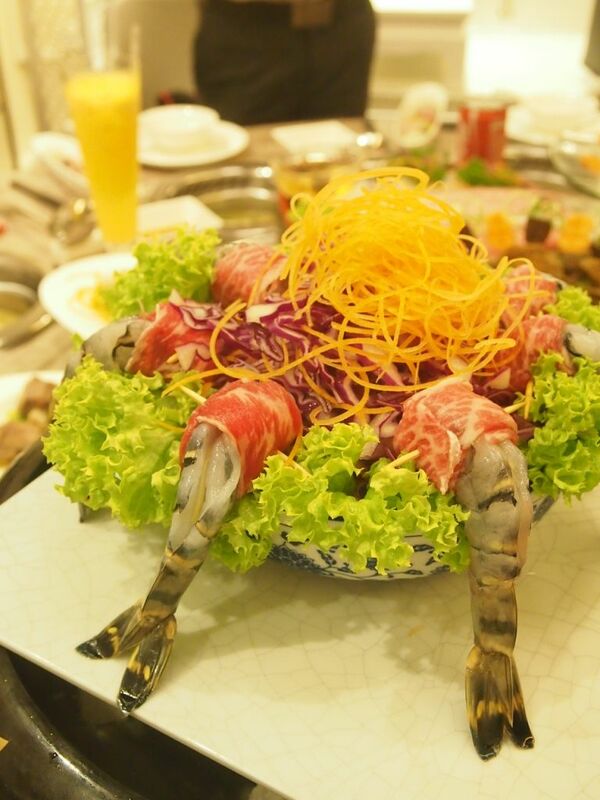 I really thought that after going through a couple of dips in the hot pot, the taste of beer will be undetectable. 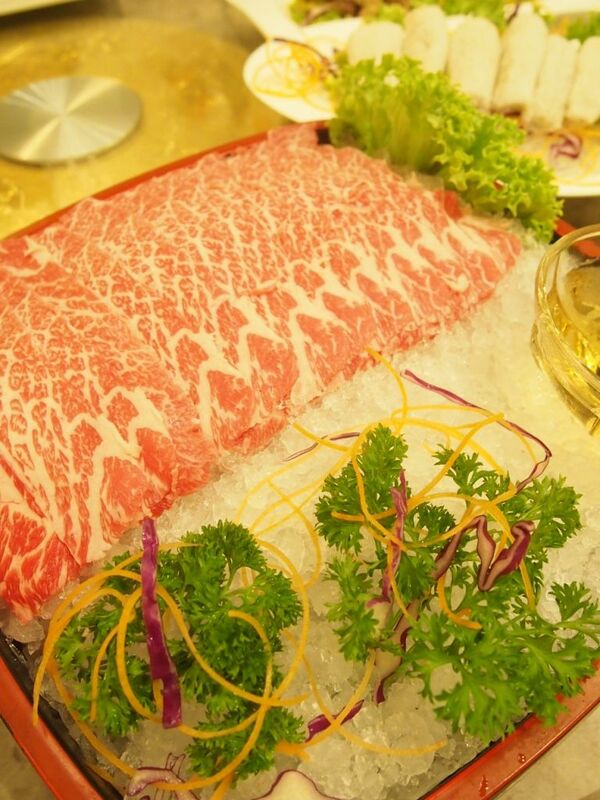 To my very pleasant surprise, the taste of beer was distinct and the beef was really delicious. Definitely my favourite dish of the night! Another one for the meat-lovers, and yet another must-order. You won't be disappointed! After everything that has been eaten and done, Chef Nian recommended that we throw in a block of instant noodles into the hotpot. And it was such simple joy slurping the tasty noodles up! I ate way too much of it. 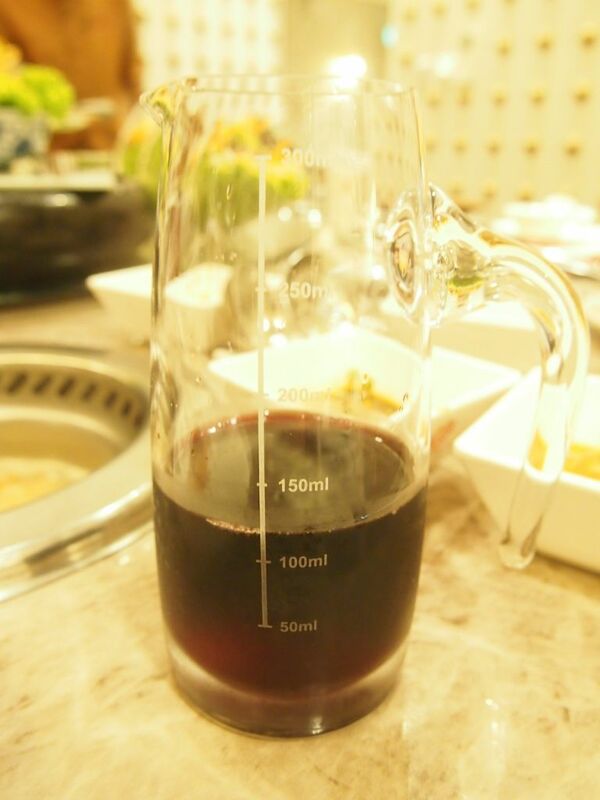 Red wine measured out in pitchers so that everyone gets the same amount. Talk about fairness haha. Simon, one of the two owners, is trying to inculcate the simultaneous drinking and dining culture that is prevalent in China here. The glutinous rice is not as grainy and sticky as the ones you get out there. 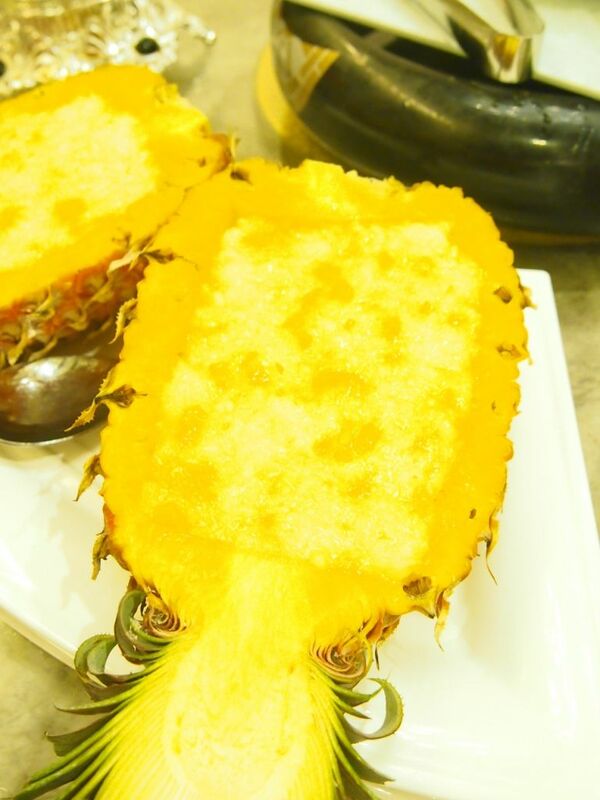 It's more minced up and it's wonderfully infused with the sweetness of pineapple. I enjoyed this more than I thought I would! This is definitely something that I've never encountered. I drink bird's nest soup on a regular basis but the versions that I always have never fail to have the gelatinous bird nest in them. 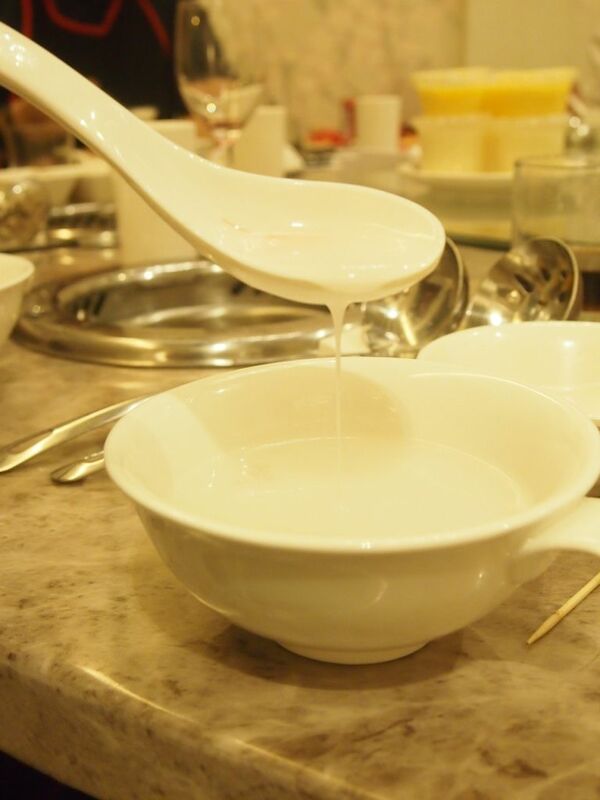 This, however, was completely smooth and is made with the highest grade of bird's nest and coconut milk. It's warm, comforting and nourishing so do give it a shot! I have nothing but good things to say about the food and service here. 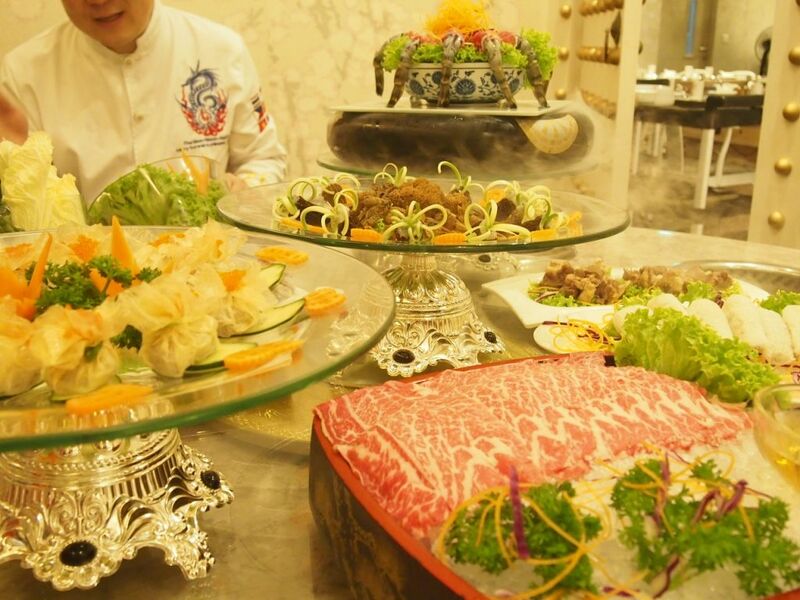 With seven private rooms to boot, Fu Lin Men Dou Lao is perfect for families, company dinners and corporate events. Every level is dressed up differently which all adds up to a consistent overall theme. The first level is decorated with shades of blue and reflects the sea, while the second level has a floral overtone and the top level has hills painted on the walls. They also offer a large selection of whiskeys, Chinese wine and French wines. The most popular red wine is really quite yummy and this is coming from someone who doesn't even like red wine. 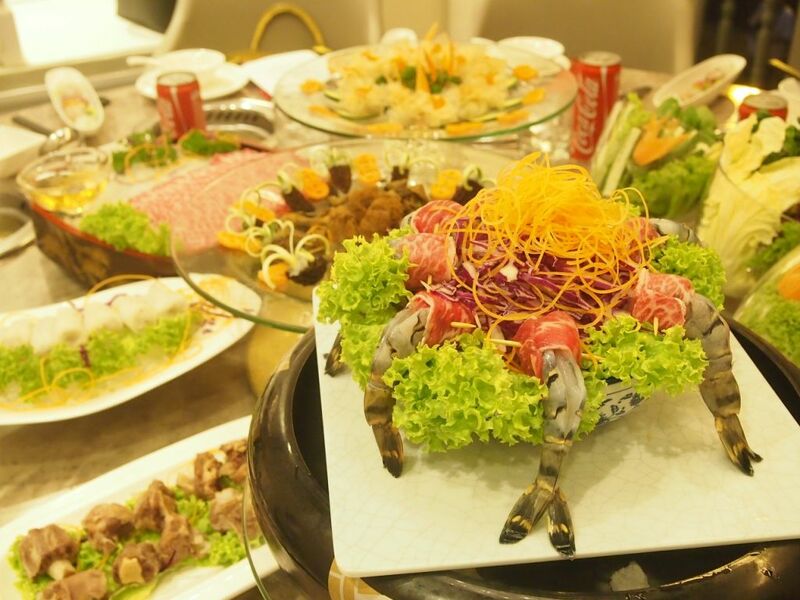 If you haven't found a place for your reunion dinners or Chinese New Year gatherings, I'll strongly recommend that you make a reservation soon! There is also complimentary valet parking!